Category: Safety Fryers. Tags: Litwin, Safety Fryers. 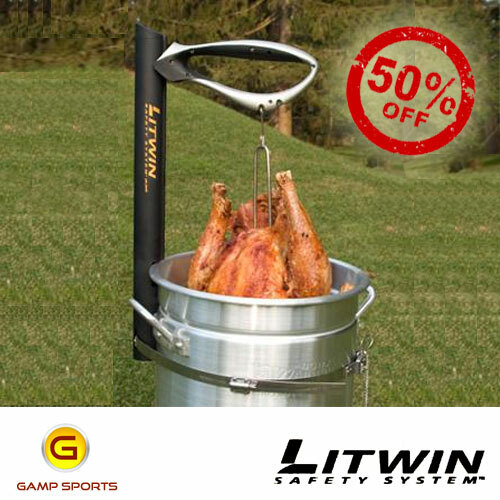 The Litwin Safety System makes turkey frying safer and easier by greatly reducing the risk of fire from spill over. The unique automatic locking mechanism is designed to “brake” instantly should you let go of the accidentally let go of the handle from distraction or being splashed with oil. Reduces fire hazard from hot oil spills.